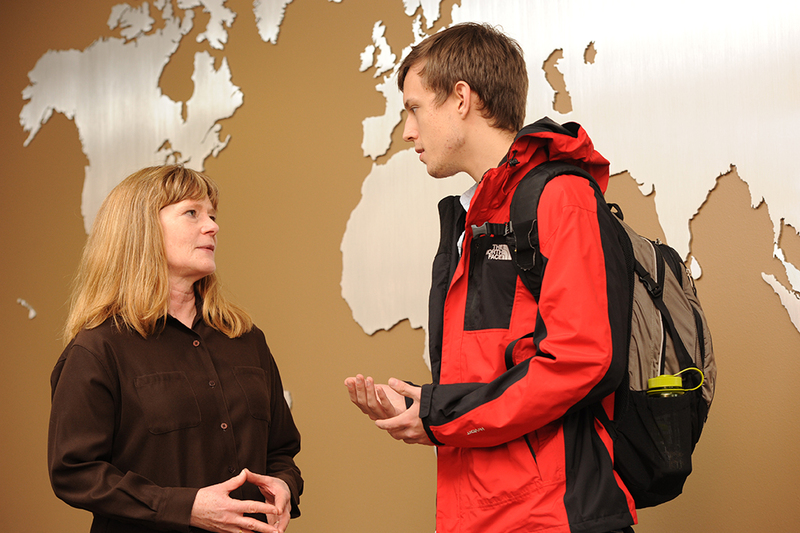 The global studies minor provides an exciting interdisciplinary international perspective on the arts, humanities, social sciences, and sciences. The program is flexible and designed to complement any major. You can include interests outside your major, add international perspective to what you’re already studying, focus on a region or culture, or pursue topics with global implications — it’s up to you! There are three general areas to choose from. Each area includes modules that let you home in on what interests you the most. Start with a foundation course in art history, literature, communication, or a foreign language. Each module includes courses that let you pursue your interests in international art, literature, intercultural communication, or a second language. Two semesters of second-year level foreign language are required. Choose a foundation course in anthropology, comparative ethnic studies, women’s studies, philosophy, or political science. Each module includes courses that let you focus on anthropology, comparative cultural studies, women’s studies, or political science. Two semesters of second-year level foreign language are required. Choose a foundation course in architectural studies, agricultural systems, environmental science, geology, art and technology, or regional development. Each module includes courses that let you focus on the built environment, agriculture and food systems, environmental science, natural resources, economic development, technology, science, and the social context that surrounds them.